Early this week, 47 Republican members of the Senate sent an open letter to Iran. According to the letter, "the next president could revoke such an executive agreement with the stroke of a pen." Iran's nuclear program is a hot issue in American politics that will continue to transcend into the next presidency, regardless of whether a deal is struck or not; it's important to know what the Republican 2016 contenders are saying about Iran. One of them, after all, could be that next president. A big question: If there isn't congressional approval for a deal, would they be willing to support it? That isn't necessarily clear, but we do get an indication of whether the GOP candidates support the senators signing the letter. The presumed, very likely Democratic nominee and former Secretary of State Hillary Clinton dismissed the letter to Iran during a Tuesday press conference saying that the actions of the GOP senators are "out of step with the best traditions of American leadership." But there's a field of GOP candidates offering their two cents on the matter. Several potential candidates who are members of the Senate are also signatories of the Iran letter — these include Rand Paul, Marco Rubio, Ted Cruz, and Lindsey Graham — and their views are clear on the Congressional involvement in an Iran deal (they want it). But here's what we know about what the other Republican candidates are saying about Iran. Governor Walker offered his take on the Iran letter in a statement. Republicans need to ensure that any deal President Obama reaches with Iran receives congressional review ... Unless the White House is prepared to submit the Iran deal it negotiates for congressional approval, the next president should not be bound by it. Jindal made a blunt statement via Twitter that no deal is official without Congressional approval. He later tweeted in response to the backlash against the GOP. Jindal is now a signatory to the open letter to Iran. The Texas governor took to Twitter to express his interest in signing the letter from GOP senators to Iran. And he got a response from Sen. Tom Cotton, the man behind the Iran letter. The Senators are reacting to reports of a bad deal that will likely enable Iran to become a nuclear state over time ... They would not have been put in this position had the Administration consulted regularly with them rather than ignoring their input. Senator Cotton is correct, the United States Senate plays an important role in moments like this and President Obama cannot usurp their authority. The deal is a bad deal and what is necessary is to make it an acceptable deal for our national security isn't even on the table to be negotiated. I am grateful that the U.S. Senate is exercising their constitutional prerogative to stop this reckless diplomacy by the Obama-Kerry-Clinton foreign policy team. 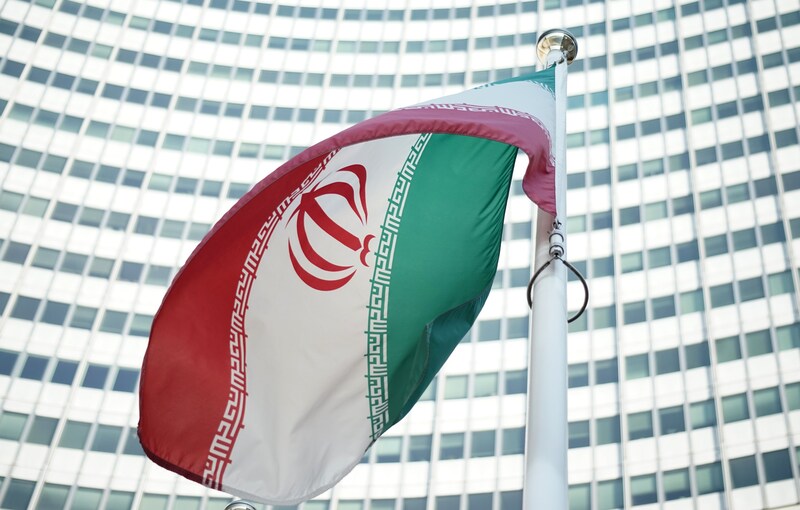 Republicans are generally opposed to reaching a nuclear deal with Iran, and we've seen a lot of rhetoric from the GOP candidates on the ongoing negotiations. Many have implied that the next president should not be held accountable to any resulting treaty not approved by Congress. But rhetoric is rhetoric, and may not hold true if one of these men occupies the White House. Time will tell the future of the Iran deal.